Rising abruptly out of the coastal plain of West Cumbria Ennerdale is one of the most remote of Cumbria valleys and has a distinctive character of its own. There is a sense of tranquillity, ruggedness, self-will, wildness, a feeling more of Scotland or Scandinavia. 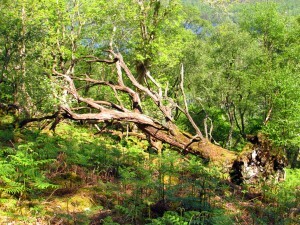 Wild Ennerdale is one of the UK’s largest wildland partnerships. Through a number of events in 2016 and 2017 we explored the valley's "Spirit of Place" and have produced this ebook to share our experiences. The book can also be purchased from the Gather in Ennerdale Bridge. 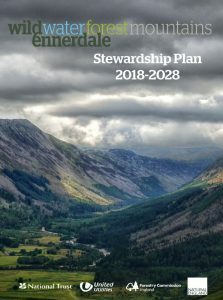 Our 2018-2028 Stewardship Plan is now approved and available to view. We are now working on actions aimed at delivering the plans objectives. Working to restore habitats in the River Ehen?